This week a teacher asked for a lesson to review fiction genres with grade 7 students. I can talk about genres in fun ways, mingling in book talks and making the genres all sound super cool. It's just listening on the students' part. For a review lesson, wouldn't it be more engaging if the students did the talking instead of me? Of course! And I'd get some good diagnostic information as well. I've played around with it before but this was my first time using it with students. I set up three stations. 1) Become familiar with the genre. 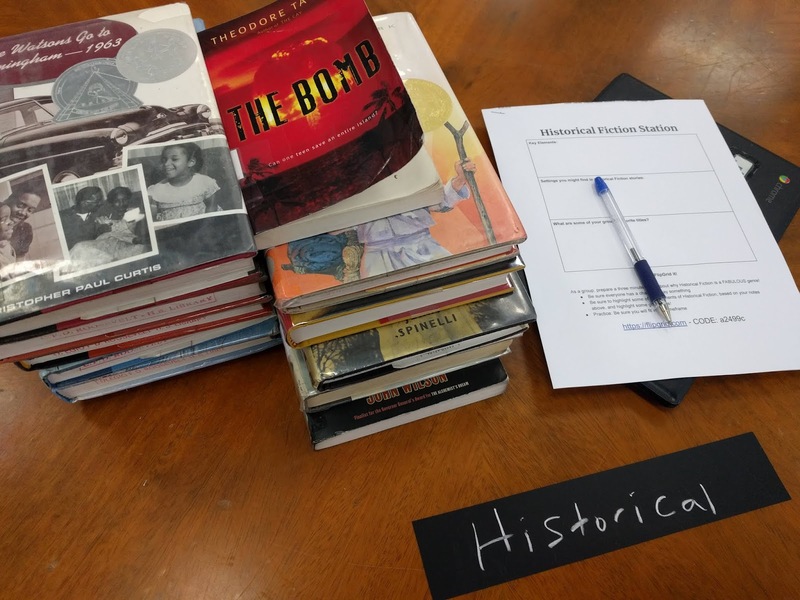 Review the books on the table, brainstorm and take notes on the elements of the genre, and share favorite titles in that genre. 2) Plan and create a video advertisement for that genre. All group members must be in the video. The video must "sell" that genre as "the best." Video cuts off after 3 minutes. The elements of the genre must be clearly featured. It sounded like a pretty tight plan to me, but in my vision, the group stayed at their table, quietly talking into the laptop to film. Exploding into other parts of the library to build a mountain out of the beanbags wasn't what I pictured. The minute students found out they would create a video, they started spinning out all kinds of wild and creative ideas. The adventure group wanted to create their ad in the style of an adventure - plane crash survival! The realistic fiction group wanted to sob their way through a sad story. It became crazy very quickly! Also: seeing themselves on camera induced fits of giggles! Happily, the teacher is a laid-back guy and we tamped down the volume as needed. I thought the results were going to be way off-topic based on the amount of action compared to information there seemed to be. However, when I viewed the videos later, I was, for the most part, surprised to see that the kids pulled it off! Maybe I'd like to hear a bit more about the elements of the genre next time, but overall they got the gist. And the enthusiasm! It was great. At first I planned to limit the next groups to staying in their seats for filming, but after seeing the creative responses to the task, I decided to let them continue to branch out. I did assign them filming areas further apart to help noise control. And I gave them more concrete time limits: 10 minutes for notes, 5 minutes to plan, 5 minutes to film. Another thing: Before uploading the video, the kids take a "selfie" which becomes the-most-important-thing-ever. A friendly reminder to keep track of their time at this stage helps. Flipgrid for the win - I just need to be ready to manage some of the silliness! It might bring out the crazy but it's worth it for the high level of engagement. PS: Flipgrid is FREE for educators. You create a Grid and then add Activities (like tasks) within the Grid. Students will need to input their school email (with school domain) in order to access. A work-around for this: have the computers open to Flipgrid and already logged into your own account. 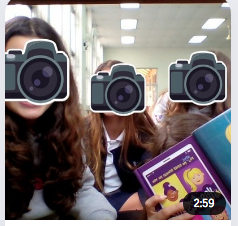 The videos will publish as if they are from you, but the kids take a selfie before posting, so they will be able to see which ones are theirs. This skips the whole logging in and inputting a code. Anyone else have tips on how to manage the silly factor or logistics of Flipgrid? I love tweaking Dewey and my latest reshuffle happened in the 800s. Mr. Dewey liked the literature section to be organized largely into regions. This makes sense for some works but not for others. People looking for "Antigone" expect it to be where the other "Greek" works are. But most students looking for poetry don't differentiate between "American" or "British" poetry. They just want poems. Same thing for plays and essays. So, my 800s Dewey tweak organizes most literary pieces by type with some sections organized by region (Greek and Spanish/Latin American Lit). Here's my planning document. I tried to keep numbers the same as the original Dewey when possible, but the entire "Plays" section needed to be relabeled. You can make a copy of the doc and edit as you like. In the Spanish & Latin American section, we have all types of literature and criticism written in Spanish. These will stay together according to their original Dewey number + SP for "Spanish". So, a book about Shakespeare in Spanish will be in this section, not the Shakespeare section. 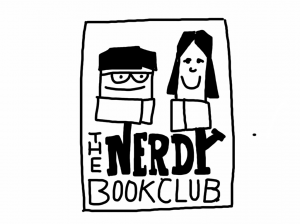 Some books don't fit neatly into my new categories, but I guesstimate based on where I think a patron will hope to find them and remember that we still have the catalog to find things. 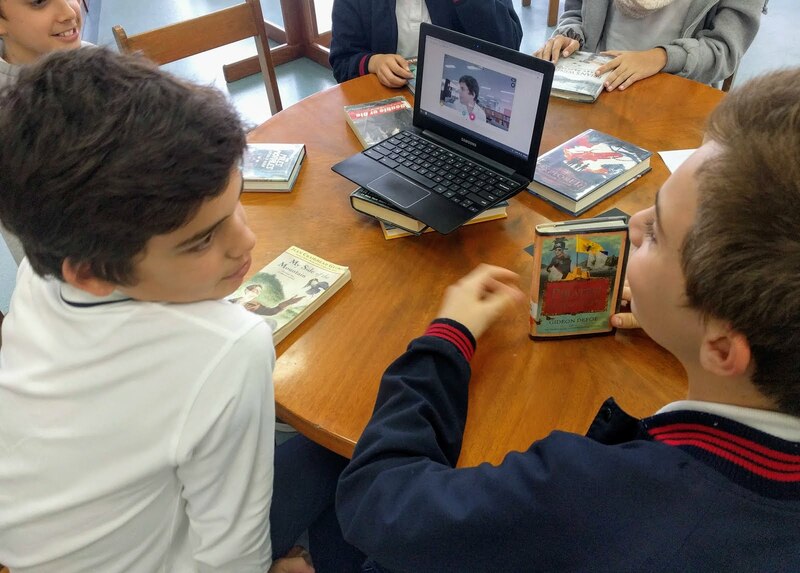 Director of Library Services at Colegio Roosevelt: The American School of Lima. Teacher. Librarian. Sarah has read 30 books toward her goal of 52 books.